Towards the end of each year, the teacher who taught art at teacher diploma level used to call the young talented ones to his classroom. We used to create sculpture with wood, with everything that was there. It was exciting for us to be in the art studio, knowing that you are talented, that you love art but are not exposed. 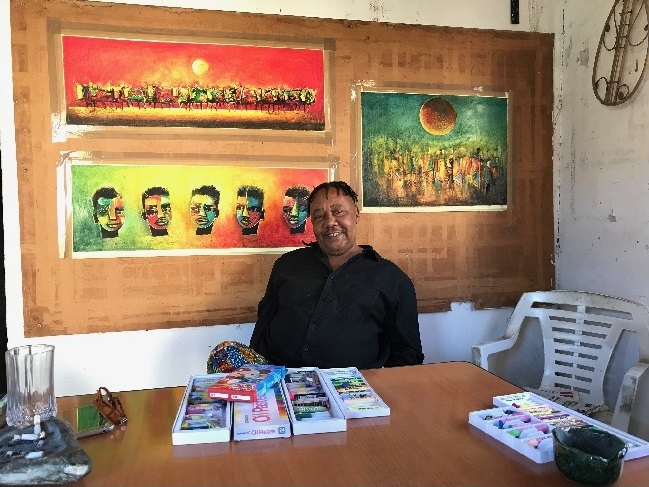 The 1976 student uprising marked a new era in Zamani’s life as he moved from one high school to another. He recalls the heightened consciousness and learners’ desire to participate in the protests that spread like wild fire around the country. As the situation grew more and more tense at Amanzimtoti College, with security police regularly raiding the campus and dormitories, he changed schools and spent a year at Ohlange High, before obtaining his matric certificate at Dlangezwa High School in Empangeni. Fast forward to the University of Fort Hare, which had a major influence on Zamani’s career in visual arts. 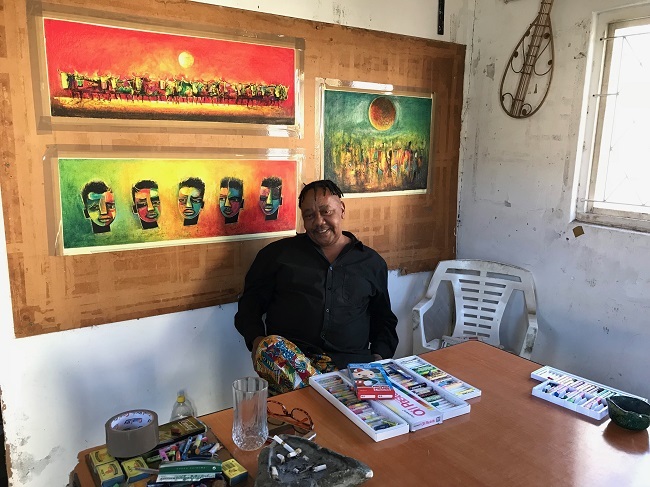 While studying Fine Arts and also doing a University Education Diploma at the university, Zamani entered and won a national art competition, prompting him to think that perhaps he had what it takes to make it as an artist. However, after completing his degree, he returned to Durban and joined Ntuzuma College of Education as a teacher. 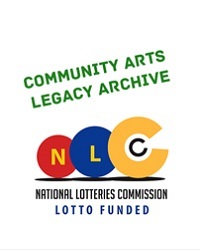 While working at the college, Zamani co-founded the Natal Visual Arts Organisation (Navao) with fellow artists Thami Jali, Sfiso Ka-Mkame, Paul Sibisi, Sipho Mdanda and Tiki Phungula. 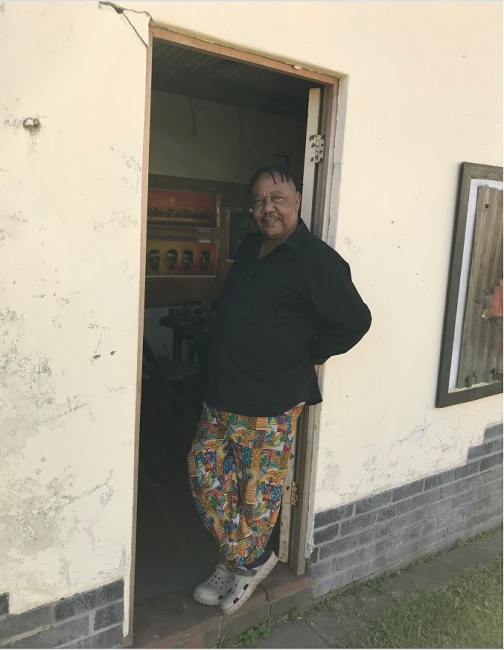 Navao was born out of financial necessity but also political commitment, at the height of the struggle against apartheid in the 1980s: ‘We had to survive and pay our rent, so we did some work for the ANC and the unions, creating political banners for rallies, and all those things’. Although short-lived, the history of Navao is a fascinating one that warrants more research than fits the scope of this essay. I was observing his progress as an artist in the newspaper. I remembered that once Zwelethu told me that I inspired him to do fine art. So it kept on ringing, I told myself I have to do this. So I quit teaching in 1999 to go [into art] full time. So when we were there [in the Glenwood house], Sfiso [Ka-Mkame] came. He visited from time to time and we gave him a space, and then guys from the [Natal] Technikon kept on coming. Something was brewing; we started talking about our future. That is where Third Eye Vision came. We used to talk about a lot of things, about the lack of exhibition space for black artists. No galleries in Durban for us. So one of our objectives was to have our own space. We wanted to do away with the notion of ‘township artist’, ‘traditional art’ and claim our place in the mainstream art scene. Before democracy, as a young artist, I used to take Peter Magubane’s and Alf Khumalo’s images, for example, and make a collage, juxtapose images. Then came post-1994. There was no more war. That created a vacuum, so we had a lot to talk about. A strong theme that emerged was identity. Most of us, as artists, were caught in that space where you don’t know what role you are going to play. That era was very difficult. Yes, freedom is here, but you’ve been telling the whole world about your plight through your work, now what are you going to do? 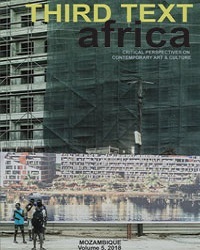 So we started looking to Africa for inspiration. That is where the symbolism comes in. Botembe came here [in Durban] while we were in Hymes Studios, in Morningside. He is a master of symbolism. He taught us a few tricks. We just threw them all over our paintings, unlike him [laughs]. Zamani rapidly mastered abstract art, through practice but also the guidance of artists such as Thami Jali. While fluid symbolism and spirituality became distinctive features in his creative aesthetics, his foremost artistic intention is creating beautiful artwork. As he puts it: ‘I want my work to be a landscape. Not a physical landscape, but something that will show you feelings’. The sun appears in many of Zamani’s pieces, as a constant reminder that it is a source of energy, love and life. It is perhaps no coincidence that he always starts a new work by applying yellow, building up from light to dark as he creates his own colours, with a distinct predilection for yellow, red and blue. He builds colours as a painter would, gradually and carefully. He attributes this fascination with colours to Sfiso Ka-Mkame’s influence. I just enjoy it. Put these things, erase them. You can see how much pastel I am wasting [pointing to the pastel offcuts on the floor of his studio]. I scratch with a blade, that’s what I do. If it doesn’t work I scratch it out. I can see it developing in a beautiful way, but I need time to do it. Not shy to erase and start again, Zamani remembers useful advice from his art teacher at Fort Hare: “Makhanya, don’t be precious. Erase it if it doesn’t work!” Layering colours and images is part of his creative process. Looking carefully at some of his work, one can indeed see the surface of juxtaposed layers and the complex reinterpretation of fading images as renewed symbols take shape, with each scratch of the razor matched by three strokes of colour. I was in Mozambique [in the 1990s], and I saw this guy. He got in the lift with a goat. We asked him, “What are you going to do with it?” He said he is going to slaughter it up there. At that time, I was staying in Point Road [in Durban]. It crossed my mind that I did not think of doing rituals for the ancestors and that sort of thing. But at that time, I just thought about me taking a cow in the lift, going up to the 9th floor to have a ritual [laughs]. It started there. Then I saw Botembe’s cow, nicely abstract. So I started to do my own. There is no need for me to do these things, the slaughtering. So I spent a lot of time wondering about life, wondering why people do what they do. Do traditional rituals really help? What I realised is that all of us have power in ourselves. So I don’t have to call the spirits, the spirits are here already. You know why I did this [with reference to a current pastel works on the wall]; these cows go in different directions. It is a metaphor for confusion. Our ancestors are also confused. 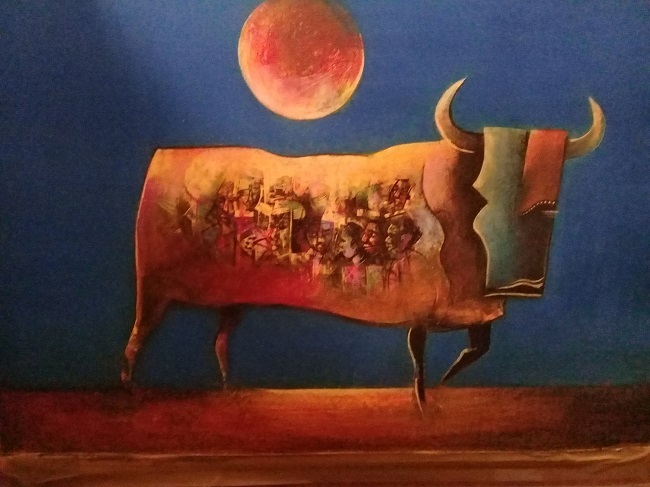 Anchored in a profound, personal understanding of spirituality blended with aesthetics, The Cows are among Zamani’s most commercially successful works over the past few years. 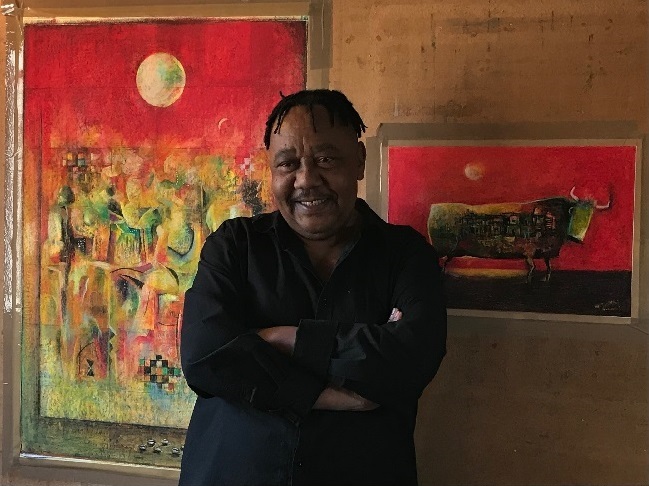 While the aspiration to sell is by far surpassed by the desire to produce beautiful and eloquent artwork, Zamani’s body of work has been acclaimed and exhibited in various galleries, art fairs and festivals and has found its way to numerous private collections in South Africa and abroad. I am still trying to get to that level. Right now I am beginning to find myself. Now that I am working as a teacher, I get a salary, so there is no pressure anymore. I don’t work to sell now. When the recession started, that’s when I decided to take my teaching certificate and present a proposal at that Special School. This Special School is for disabled children, who have learning problems. I came there with a simple thing: recycling paper, because I have plenty of used newspapers around. I used a room, starting to create papier-mâché sculptures with the children. These children are from a poor background, they don’t do grades, and they cannot do matric and get a certificate to work somewhere. Once you are 18 years old, you are out onto the streets. So I try my level best to make sure that I give one or two of them some skills. This was my own initiative. I decided that I can do something for these children. I was also feeling useless, I was bored. I can’t do art from morning to night; you have to go do something else. I developed a proposal and they loved it. And we started to win competitions. It’s serious. It’s not that crap art thing, I teach them Art. When not teaching, Zamani spends most of his time in his beloved studio in Hillary, a space that represents freedom to be and to create. I spend a lot of time here. I really enjoy being here. I am beginning to see the fruits of that. The more you respect yourself, the more you do your art, the more people take you seriously. This space offers a lot for me. Musician Madala Kunene is a regular visitor to the studio, playing his guitar as Zamani works. Mutually inspiring, music and visual art are entangled in a flow of creativity, tuned in the rhythms of the guitar and strokes of pastel. Spending time at Bafo’s [Madala Kunene] place I’ve met a lot of people. It’s no coincidence that from time to time I’ll do something with musicians. I’ve done covers for [record label] MELT 2000, the Rainbow Restaurant [in Pinetown] project with Rafs Mayet. I collaborated with a poet from South Africa, who used to be Mandela’s isiBongi [praise poet], Zolani Mkiva. 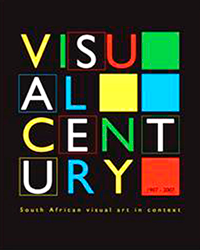 I produced images and he made a poem for South Africa. I am going to clean the other room, where I do painting. I am a painter, I love painting. But the pastels that you see are dictated by the market. Whenever I send my painting now, people are asking where the pastel work is. There is this thing about the paper behind the glass. Taking art to the people is my dream. I think we are leaving our people behind. It would be nice to have public art with the communities. See the presence of the artist in the community. Coming to Durban, going to Umlazi and elsewhere, talking to people, and asking them about their history. And create a sculpture, using everything that is there. I would really love to do public art. Taking art to the people, reaching out. I would really like to do that. I am still dreaming of that. Go to a space and create something beautiful, with the people, for the people. The problem is that nobody wants to fund. Too much politics going around, too much greed. I really don’t know what the future has for us. Now that I am growing older, I would really love to be just a good citizen of the world. I love people. I want to be comfortable everywhere I go, and I want to make sure that people around me are comfortable. I don’t want to be put in a box. Rachel Matteau Matsha is a senior lecturer in the Department of Media, Language and Communication at the Durban University of Technology. 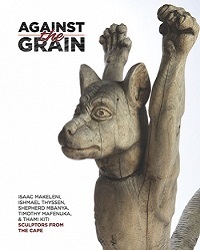 This essay is based on a conversation between Zamani Makhanya and the author, held at Zamani’s studio in Hillary on 20 June 2018. All photos are provided by the author unless specified otherwise.